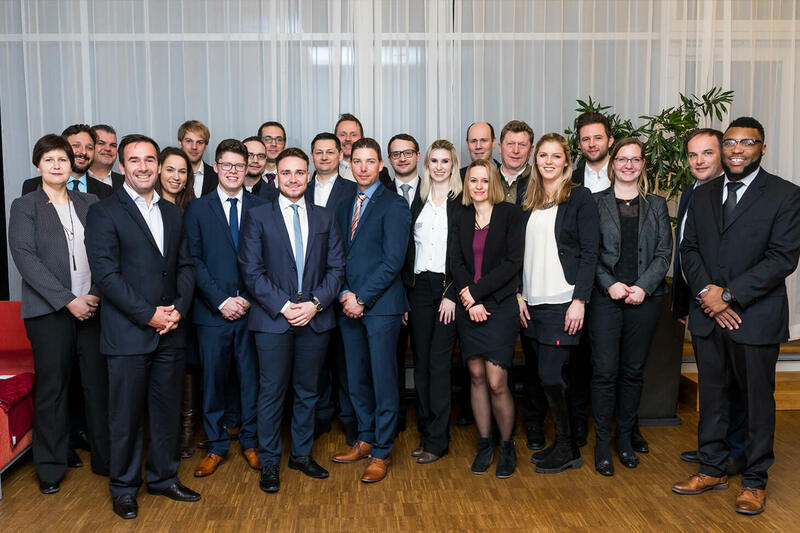 The pre-stage of the value:program, the voestalpine Group’s own continuing professional development program, offers high potential employees an intensive program covering business management and social competencies to prepare them for future management responsibilities. That brings people together. And across borders. It was with mixed feelings that the participants on the Pre-Stage 2017/18 headed off to Austria in March this year. On the one hand, they were nervous about the upcoming final presentation to executives, and the perspective of their presented projects actually being realized. And on the other, they were feeling wistful, because it marked the final module of the program (“Find your Business”) in which the 17 selected voestalpine employees from eight countries had spent almost a year learning more about the principles of modern business management. For three intensive weeks this year the participants focused on subjects including project management, communication, and finance, but also on how to achieve a work-life balance, maintain their levels of energy, and exploit their own potentials. During the “Viewing my Talents” module, the participants also explored their personal limits and beyond: this exercise involved applying their personal strengths, to head off in new directions, and the feeling of being part of a foreign culture. 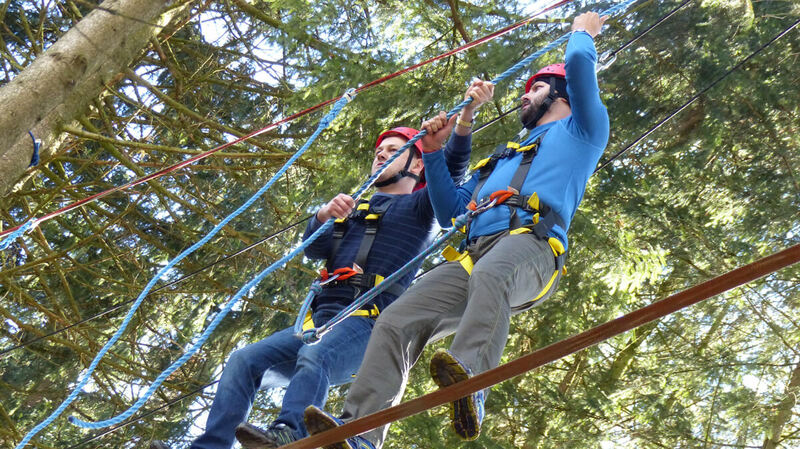 With a variety of practical tasks, numerous joint social activities, and plenty of teamwork, the entire program and several of the exercises will remain fresh in the memories of its participants for a long time. Slacklining while suspended at a height of five meters wasn’t everyone’s cup of tea. But with support from colleagues from around the world, all the participants mastered even this (voluntary) task. However, the 17 participants from the Group weren’t feeling nostalgic because a varied, challenging, and interesting professional development had come to an end. Instead, they had all made friends and established useful contacts from around the world. The ice had been quickly broken, right back during the orientation phase at the start of the year, partly because things had got off to a rapid start, with the first practical test taking place in the hotel kitchen. Incredible how quickly people from different cultures can come together through a shared activities such as cooking. Especially as Austrian supermarkets don’t always have commonplace Asian or South American ingredients in stock. But improvisation is the order of the day when it comes to achieving a joint goal. In this case it was a well-earned, shared meal after a busy work day. A successful team. During the Final Presentations the project groups demonstrated how international cooperation can lead to pleasing results. value stands for “voestalpine leveraging unique expertise” and builds on the combination of theory with direct, Group-related application. The primary focus lies in learning about relevant management and leadership tools, gaining intercultural experience, and encouraging international networking within the voestalpine Group. Since the value:program was initiated in 2010, more than 1000 Group employees from dozens of countries all over the world have taken part in one or more of the five stages in this continuing professional development program.